Mail Boxes Etc. UK & Ireland, one of the leading non-food franchises, took a punt this summer with some promotional activity that tapped into the current frenzy for all things football. There’s also the chance to win one of ten branded football shirts in the colours of any club or country in a prize draw competition, with no purchase necessary. But perhaps the most adventurous element of the campaign, and one that could be a first for a non-food franchise, is the creation of a neat little game app, called Parsley’s Free Kick Frenzy. It’s named after the character that stars in the new MBE videos, known as Parsley thanks to his quirky hairstyle (the name’s also a punning reference to MBE’s parcel delivery business). In the game, Parsley is a goalie, deflecting free kick goals, as well as occasionally letting some into the net. It’s MBE’s first ever game app, free to download on Google play and the App Store, and there’s even a desk-top version. 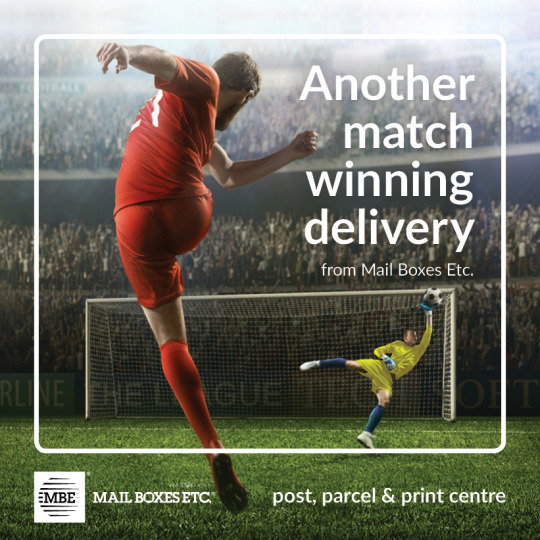 The multi-media summer of sport campaign can be seen on Facebook, Twitter, Instagram and on the company’s website, as well as in more than 150 stores around the country. Parsley’s Free Kick Frenzy can be found at the App Storeand Google Play. The desktop version is available here.